To the millions of people who visit Walt Disney World each year, Disney is the happiest place on earth. It is a place where children are allowed to believe that the world is full of magic and wonder, and a place where adults can rediscover their childhood dreams. 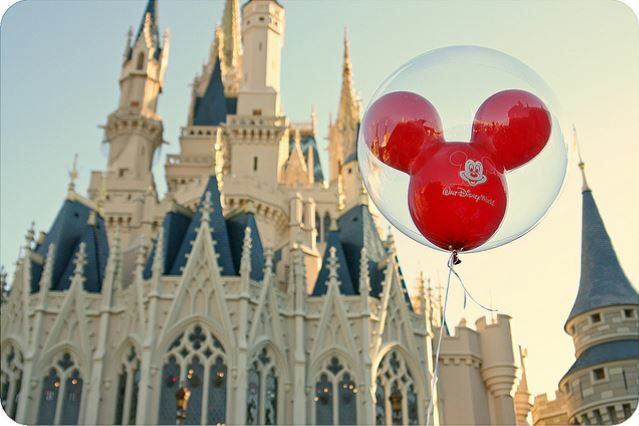 Nearly 100 million people visit Walt Disney World every year, and almost 80 percent of those are first-time visitors. But that being said, there are still a large number of individuals who will never have the wonderful opportunity to visit Disney World. This past year I was given the wonderful opportunity to bring two girls to Disney that would never otherwise have been able to go. They were your average young girls: they liked princesses and fairy tales, they spoke their minds, they loved candy and everything sweet, and they wanted to go on the most thrilling rides we could find. They talked and played and argued like sisters do, but the older one was particularly protective of her younger sister. For the oldest one, this instinct wasn’t just a natural part of being sisters. It actually served a purpose. The oldest girl was used to protecting her younger sister for a number of reasons, but most notably because their home life was not the greatest. The reason the girls had come into my life was not the happiest of reasons. My mother had become their Guardian ad Litem, which means she has been assigned by the court system to look out for them. For whatever reason, the parents of the girls were caught up in legal battles, facing time in prison, drug charges, and a whole host of issues. My mother’s job was simple: look out for the best interests of the children, and make sure they don’t fall through the cracks. So she petitioned the judge for things like new clothes for school and doctor’s visits, she gave her opinion on who the children should live with, and she established a positive and stable relationship with the girls so they would have someone to go to if needed. In their upheaval, my mother became their rock. As my mother got to know the girls, she knew that they had been forced to grow up much faster than they should have. They were facing very adult issues, and instead of worrying about which color hair clips they should wear, they worried about the next stranger they might have to live with. It’s the kind of stuff no child should have to live with, but it’s a reality for many, many children. There is only so much my mother can do as a GAL, but if nothing else she wanted to do something to make their lives a little better. She asked if I had any ideas, and I only had one. “Why don’t we go to Disney World?” Being a cast member, I always see Disney as the ultimate get-away from reality. It’s where I run when I have a bad day, and where I want to bring all of my friends when they come to visit. To me, Disney is one of the greatest places on earth, and it has a magical quality that allows you to forget just for a moment that there are troubles outside its borders. In the midst of their turmoil, I wanted to give the girls the opportunity to escape from the harsh realities of life and make memories that they would be able to hang onto forever. Maybe working for Disney has made me a little idealistic. The idea, however, was a complete success. At the beginning of the trip, the girls had no idea what Disney was all about, and all they wanted to know was where the biggest and fastest rides were. By the end of the day, we had engaged in a serious conversation about where Pooh actually lived on Disney property, and how much honey he ate in a given day, and whether or not Aladdin and Jasmine lived in the castle or if they flew home to Agrabah every night. On the way home, they spent the whole two hours talking about all of the wonderful things they had seen and done, and from what I’m told they proceeded to talk about it for the next few months as well. But most importantly, they asked a lot about when they would be able to come back. I told them honestly that I didn’t know, but I hoped they could come back sometime soon. These girls are not alone in their situation. When my mother recounted the trip to the other Guardian ad Litems, they also asked if there was a way for the children they looked out for to also go to Disney. Unfortunately, as a seasonal cast member, my passes are extremely limited. But that’s when I had an idea. Being a cast member is all about creating magic and instilling happiness, but none of us can do it alone. It is the combined effort of the thousands of cast members which creates the wonderfully magical place we know and love. And so, through a combined effort, perhaps we can create just a little bit more magic. If a few cast members were willing to use one of their Maingates or a few comp tickets to bring children like them to Disney, I know it could make a world of difference. The children would of course have to be accompanied by their Guardian ad Litem, and the date of the trip would have to be arranged through individual communication between the cast member and the Guardian ad Litem. But it could work. And it could just be an awesome experience. In short, the cast member would end up being like a fairy godmother, making a child’s dreams come true. We would be fulfilling our mission as cast members: to quite simply create happiness. To make it work, the cast member would have to accompany the Guardian ad Litem and children for at least part of the day in the parks, and be willing to act as a sort of tour guide. Cast members have the unique ability of knowing how to navigate Disney like they do their own home. They can tell you which rides are worth the wait and which rides aren’t. They can tell stories about characters and almost effortlessly slip into the themed language which characterizes many of the park areas. They possess the knowledge to tailor the experiences of the park to the particular interests of the family, especially when they are asked a hundred times a day, “What’s the best ride to go on?” Every cast member quickly learns that the “best ride to go on” is not necessarily your particular favorite, but rather the one which your family will all enjoy together, be it the thrilling Rockin’ Rollercoaster or the calming Soarin’ Over California. And so naturally, a cast member would ideally be able to provide the most magical and personal experience by volunteering their time and expertise to this kind of once-in-a-lifetime trip. If you or a cast member you know would be interested in volunteering to give a child or two the opportunity to spend a day in Disney, then your efforts would be incredibly appreciated. You can contact Meg Devereux at mmbdevereux@gmail.com if you would like to sign up to volunteer, or simply if you would like more information.